The Forbidden Library by Django Wexler satisfied the 17th category on my reading challenge list very well - a book involving a mythical creature. Mythical creatures were kind of the point of this book. After Alice's father is on a ship that sinks and he's presumed dead, she is sent to live with a mysterious uncle whom she has never met. Before long she figures out that everything may not be as it seems, and she has some abilities that go beyond anything she practiced at her previous school. Alice finds herself learning about and battling a variety of unique mythical creatures, and can't be sure for long who to trust for assistance in her adventures. She spends much of the first book learning about herself, those around her, and her newly discovered gifts. I love books that stretch my imagination, and this one definitely fit the bill. I also love characters, and those found in this book are definitely one-of-a-kind. 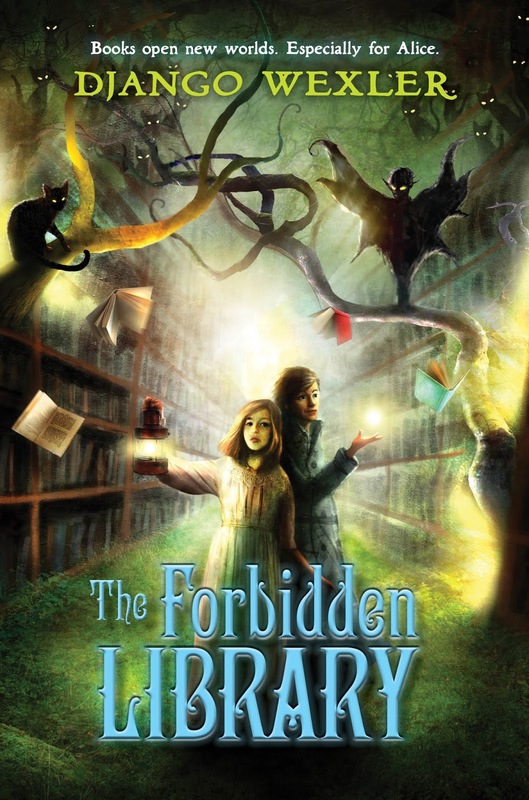 I'd recommend this book for young readers (grade 4 - 7) who enjoy fantasy in the style of Harry Potter. This sounds really interesting. It's been a long time since I read anything mythical. It's been a while since I had the chance to read any book. In-fact I have a huge pile of books that I can't seem to get to. Life has been busy. It sounds like one my 14 years old might enjoy. She loves these types of books. This sounds like such an interesting read! I love books with mythical creatures so I might just have to add it to my list.